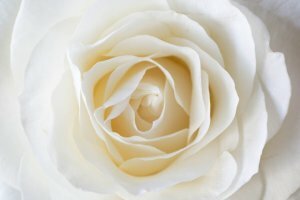 Mrs. Lucy Jean Slater Robbins, 63, passed away on Thursday, February 7, 2019. She was born in Mingo County, West Virginia on August 6, 1955 to Randolph Slater and Frances Thompson Slater. Lucy was of the Baptist faith. She was very creative and gifted at all she did. Lucy was the costume designer at The Academy of Dance Arts. She loved creating things. Lucy had a special kind of love for her cat, Grace. She will be remembered for always being a joy to everyone she met. In addition to her parents, she was preceded in death by her step-daughter, Danielle Robbins; and nephew, Chad Slater. Surviving are her husband, Charles Herman Robbins II; step-son, Chuck Robbins; brother, Marvin Slater and wife, Charnell; sister, Ann O’Malley and husband, Kirby; niece, Shelly Slater and Sharon Slater; nephews, Patrick Faw and wife, Jennifer and Adam Faw and wife, Kate; and special friend, Wanda Plemmons. No formal services will be held.